These specially made slippers will improve your image to your guests. Give a spot of "quality" to the hotel while helping to cut your expenses and control that runaway budget. 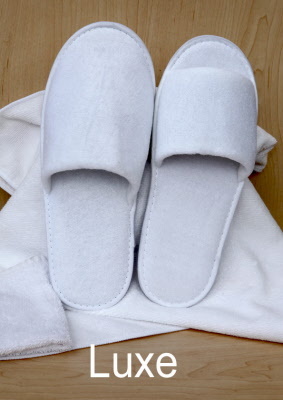 This slipper comes in white and is made of a soft sponge-like material. 4 sizes for adultes and 4 size for children.